Project Foundation (PF) takes up a theme a month. 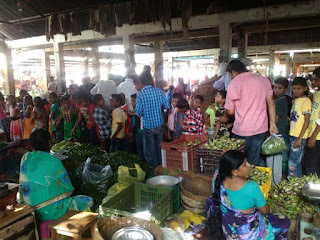 Community Learning Centre (CLC) under PF organised an exposure visits to a Vegetable Market in Hadapsar for August Months theme, Vegetables. 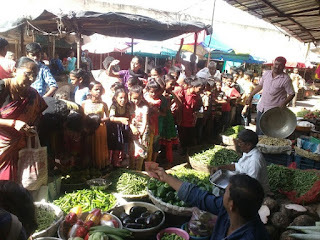 Children had their share of fun learning, exposed to various seasonal and regular vegetables and experienced the chaos at the vegetable market. As part of this activity children were taken out in a public space, Hence, required to get a NO OBJECTION LETTER signed from their respective parents. 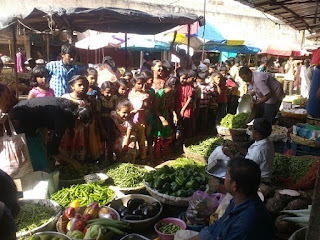 Surprisingly, parents were quite excited too and around 85 children joined in. Photo: Limboo kiti la dada? A gesture to acknowledge co-existence! The campaign, Every Child Counts (ECC) under Door Step School, Pune works towards enrolment of out of school children from migrant labour camps. ECC staff works closely with the Pune Municipal Corporation (PMC), Pimpri Chinchwad Municipal Corporation (PCMC) and Zilla Parishad (ZP) Schools for these children’s admission. 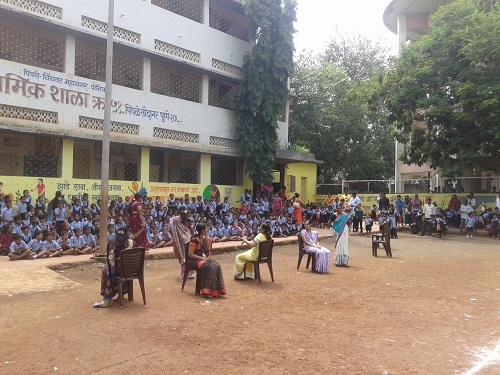 These children get their admission under Right To Education (RTE) Act, 2009. This allows them to seek admission throughout the academic year without having to waste their year as they migrate with their parents from place to place. All of this is possible as the schools extend their support when approached. Sometimes it does bring them discomfort as the process needs to be followed in the middle of the academic session, sometimes several times in a year. 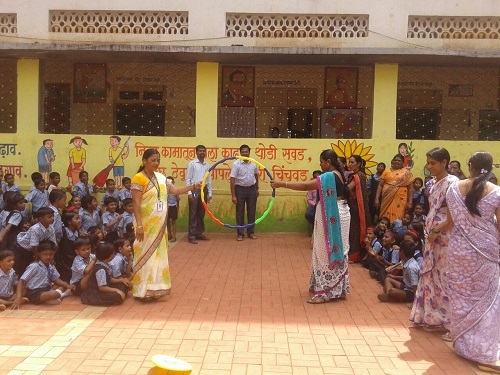 On Teacher’s Day every year from the inception of the practice, ECC team organises a small celebration in schools covering PMC, PCMC, Haveli and Mulshi Talukas. The selection of these schools is mostly done on the basis of fulfilling the need to develop rapport between the ECC staff and the school staff. 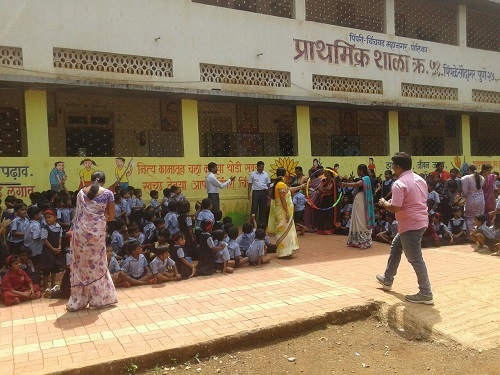 There were about 15 such schools selected this year in PMC, PCMC, Mulshi and Haveli Talukas. Celebrations included participatory games such as musical chair, balloon games, hula-hoop games, etc in-order to get them to have fun and spend recreational time with their colleagues, something they often don’t get to do. Initially, it was observed that the teachers hesitated to play. 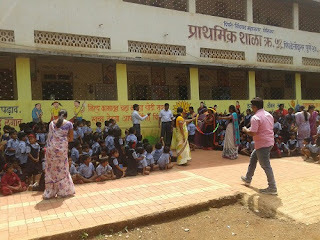 Later, students encouraged their respective class teachers and cheered them. 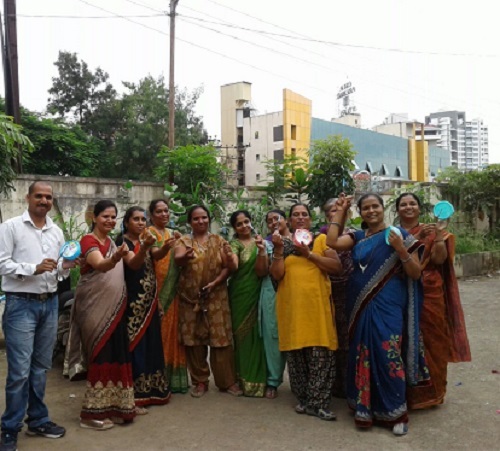 Teachers then were given a pen and a greeting card as token of appreciation for the many ways in which they support the ECC Campaign. In closing, ECC team expressed the need to keep the communication going in terms of providing them monthly progress reports of the children enrolled in the school. 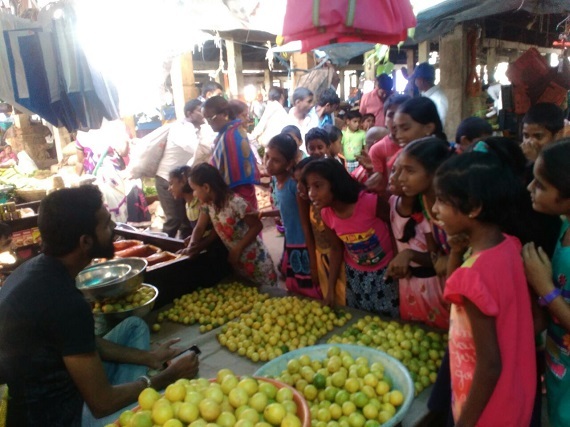 And offered help if there is anything that the team must know to further improve the operations.